Globalization • Utah joining trend among U.S. universities to go international. The University of Utah is looking to establish its first branch campus since pulling out of Price 50 years ago. But it won't be anywhere in Utah. It won't even be in North America. Utah's flagship is exploring the feasibility of expanding to South Korea, where the government is building a major education hub outside Seoul. Songdo Global University is taking shape on a seaside marsh near the Incheon International Airport, and the U. hopes eventually to enroll 1,000 students pursuing U. degrees on Korean soil. "This is a field of dreams. 'Build it and they will come.' But it has to be world-class quality," said U. education Dean Michael Hardman, now serving as interim senior vice president for academic affairs. 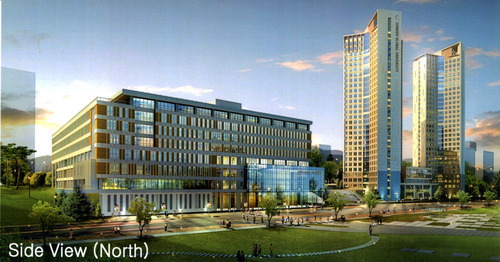 If all goes according to plan, the project will not cost Utah taxpayers anything or consume any university finances. Student tuition and subsidies from the Korean government would cover expenses. The South Koreans have been courting Utah since 2008 when construction of the Songdo campus began, and recently gave the U. $1 million to plan the proposed Asian Campus with the promise of a $1.5 million annual subsidy when it begins operating. Three other universities are involved, and South Korea eventually wants 10 schools participating, each responsible for 1,000 students. Korea's Silicon Valley • New York's Stony Brook University has already admitted students at Songdo, and Virginia's George Mason University is on track to open its doors next year. Utah and Belgium's Ghent University are working together to start operations between September 2013 and March 2014. But the U. must complete ongoing feasibility studies. The school has hired consultants to do a market analysis, and its lawyers are exploring Korean labor laws. The goal is to determine whether the proposed campus fits with the university's mission and its economic viability, then present a recommendation to U. trustees by the end of this year. Trustees Chairman Clark Ivory could not be reached last week. Hardman has assembled a working group that includes Robert Payne of the general counsel's office, financial analyst Robert Muir and In Suk Han, a Korean-born adjunct engineering professor and entrepreneur. "No one wants to exit. If we go into it, we want to succeed," Payne said. "We need to understand Korean labor laws, what would happen if we had to pull out." The South Koreans are inviting only top-100 universities to participate. The U. qualified with its appearance at 82nd on the Shanghai Jiao Tong University world rankings, according to Han. "This will give us a strong international presence and increase our world ranking and increase opportunities for global research," Hardman said. 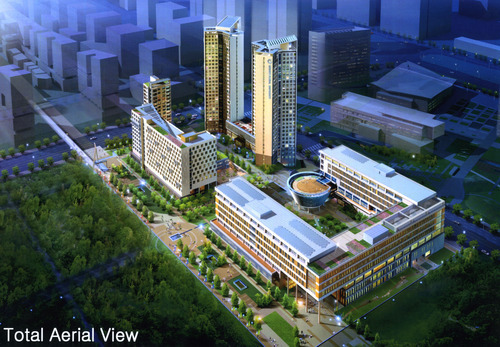 Songdo is the academic component of the larger Incheon Free Enterprise Zone, a $40 billion government initiative aimed at re-creating the technological brainstorm that fuels such hot spots as Shanghai and Silicon Valley. The first phase of nearly 2.5 million square feet has been completed at a cost of $338 million and includes administration facilities, a student life center, library, residence halls and student union  areas that will be jointly used by the 10 institutional partners. A spiraling ramped structure houses a library, gym, guest house and auditorium. In setting up overseas, Utah is joining a major globalization trend among U.S. universities. According to a report by the British group the Observatory on Borderless Higher Education, there were 200 "international branch campuses" operating last year with an additional 37 expected to be launched in the next two years. In 1999, only 35 existed. More than one-third of the campuses were established by U.S. institutions, and the wealthy petro-state United Arab Emirates hosts the most, with some notable failures. George Mason and Michigan State universities recently shut down their branch campuses in Dubai, citing poor enrollment and other troubles. Ties that bind • The U. already enjoys strong ties with South Korea, the world's 12th largest economy. More than 500 U. alumni live there and 378 Korean students currently attend the U. The College of Pharmacy has run a joint research lab at Inha University for the past five years. "Korea has a positive long-term alignment with the United States," Hardman said. Songdo is a three-hour flight from airports serving 1.7 billion people in east Asia, almost one-third of the world's population. It's about halfway between Beijing and Tokyo. Utah officials believe the Songdo project is structured in a way to avoid problems that have undermined branch campuses in other countries. The South Korean government is investing heavily in state-of-the art academic and residential facilities to attract superb faculty and students and will provide generous subsidies to participating universities for the first four years. Universities will not duplicate academic offerings but will collaborate on general-education requirements, libraries and other academic-support facilities, thus reducing overhead. Eventually Songdo will have 10,000 mostly undergraduate students, all paying about $20,000 in tuition  which is on par with Utah's out-of-state tuition. The hoped-for demographic breakdown of the U. student body would be 40 percent Korean, 40 percent from other Asian countries and 20 percent American and European, according to Hardman. The admissions and graduation criteria would be the same as for Utah students, and Songdo students would be required to spend a year or two on the mother campus in Salt Lake City. Meanwhile, Utah students would be able to study abroad at Songdo while paying low in-state tuition. The U. has been given priority to offer degrees in five areas of its choice: bioengineering, psychology, humanities, math education and social work. Faculty would be recruited from around the nation, but current professors also would be invited to accept posts at Songdo for two- or three-year stints. "All faculty housing is free  and it's really nice housing," Hardman said. South Korea has invited the University of Utah to be among the first four universities to establish branches at this academic complex rising outside Seoul. The U. is studying the feasibility of its first international campus there and expects to make a decision whether to proceed by year's end.